Giant panda is China's national animal as well as a symbol of China. However, where to see pandas in China? As it well-known, the giant pandas mainly distribute in central western and southwestern China, especially in Sichuan Province, and also available in Shaanxi and Gansu Provinces. At present, there are 18 nature reserves for pandas in China, 16 of which are in Sichuan Province, the home to panda. Yet the best place to see giant pandas is Chengdu. Chengdu Research Base of Giant Panda Breeding is one of the most famous research institutions for rare and endangered wildlife conservation in China and even around the world. Located about 25km out of Chengdu City, the base is a huge institution replicates the natural habitat of the giant panda and is dedicated to preserving and increasing their population so they will not become extinct. 2017 is the 30th anniversary of the base. When the base was established in 1987, it rescued six giant pandas who were ill and hungry. And now these pandas have become the world's largest breeding population of giant pandas, with a population up to 184. On top of that, the base also helps fraternal units multiply and reproduce 24 giant pandas. (1) Giant Panda Meimei: the first panda who joined Chinese international cooperative breeding program with Adventure World in Shirahama, Japan. She gave birth to 9 panda cubs and 7 of which survived. (2) Giant Panda Meilan: A panda born in 2006 in Zoo Atlanta, USA and came back to China in 2010. It was officially chosen as the global ambassador for WWF earth hour. Join us and enjoy a panda tour or experience a panda volunteer tour in Du Jiangyan. China Giant Panda Protection and Research Dujiangyan Base (also known as "the Panda Paradise") was open to the public in June 2013 with the main functions of the giant panda's nursing and disease control. 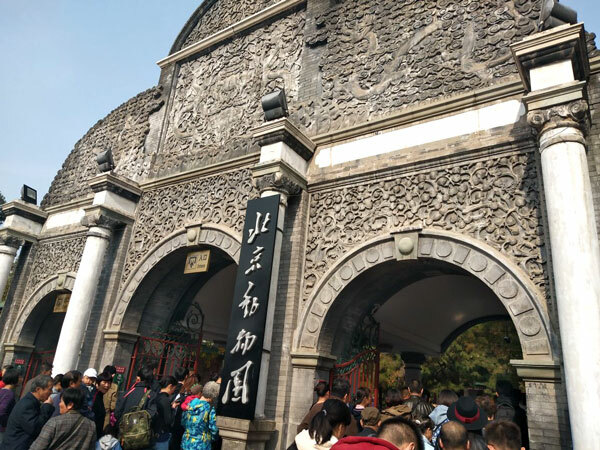 It covers an area of 760 mu and is divided into six regions according to the functions.There are four gardens in viewing area: Panpan Garden, Shuangnan Garden, Linze Garden, Diequan Garden, where you can see 20 pandas. (1) Giant Panda Xinhui and Haohao who traveled to Belgian Paradise Zoo for international cooperation in 2014. (2) Giant Panda Fuwa and Fengyi who traveled to Malaysia National Zoo for international cooperation in 2014. (3) Yunzi and Meisheng, two pandas born in San Diego Zoo, along with giant panda Taishan, who born in Washington National form the world's largest giant panda population of oversea returnees. Ya'an Bifengxia Panda Base which completed in October, 2003, is a panda park with functions of panda feeding, breeding, rescue and education. The base is about 15 kilometers from the city of Ya 'an and only one hour and 30 minutes from Chengdu Shuangliu International Airport. The base covers an area of 400 hectares, which is divided into six functional areas: feeding area, breeding area, scientific research area, office area, bamboo base and living area. In 1987, he visited America for half a year on behalf of the China Wildlife Conservation Society. In 1991, he walked into the performance hall of CCTV Spring Festival gala. In 2014 they were sent to Taipei as peace ambassadors and had their official debut on January 26,2014, in the Taipei zoo and attracted about 5,000 people rush to see them in one hour. Wolong Nature Reserve is the national third nature reserve. It has the largest area, the most complex natural conditions, and the most rare animal and plant in Sichuan province. There are more than 100 pandas in the area, accounting for about 10% of the total. Though it was largely devastated by the catastrophic "5.12" earthquake in 2008, it was rebuilt and reopened with dense forest, fresh air and beautiful natural scenery. Visitors can visit the panda kindergarten. There are lots of cute baby pandas, which are worth taking a group of photos. (1) Giant Panda Huamei: A panda named by the Chinese government and was the first giant panda returning to China after being born abroad. Born in 1999 in San Diego zoo, giant panda Huamei was the first panda born and survived in the United States. (2) Giant Panda Lvdi: A panda cub who born in 1991 and survived for 159 days without breast milk. It raised the living record of artificial feeding, which leaves many valuable experiences and inspirations for mankind. (3) Giant Panda Princess, Chinese name Gongzhu: A panda born in 1998 and was the first panda raised up by artificial assisted feeding in human history. Panda Princess became a symbol of the success of panda's artificial nursing. (4) Giant Panda Qingqing: A panda born in 1999 with a weight of only 53.7g and was lightest artificial raising panda cub in the world. Can't go to Chengdu but really want to see the lovely giant pandas? Don't worry. Here some famous giant panda zoos in China. Click the zoos to learn more details. You can also join us for a panda tour in China. Panda Members: Xin Xing, Ling Ling, Ya Laoer, Liang Liang, Lan Xiang, You You, Mang Zai, Hao Qi, Ding Ding. Location: No.30, Section 2, Xin Guang Road, Taipei, Taiwan.